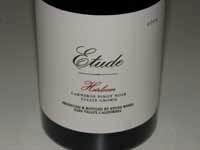 Etude is a pioneering winery in the Napa Carneros region started by noted winemaker Tony Soter. 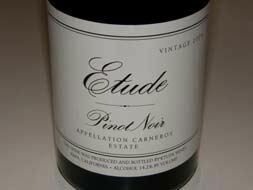 Tony launched Etude Wines in 1980 with the release of a Napa Valley Cabernet Sauvignon, but quickly moved into Carneros Pinot Noir (first release in 1982), Napa Valley Pinot Blanc, Napa Valley Merlot, Carneros Pinot Gris, Brut Rosé sparkling wine and Vin Gris of Pinot Noir (one of the first and still one of the best in California). The winery was initially an underfunded side project that he indulged in while he worked his day job as a consulting winemaker to other wineries. The name "etude" refers to a musical term for a focused study or technical exercise to perfect technique. 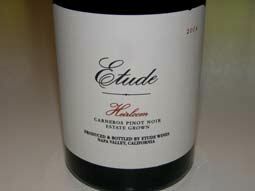 Etude Pinot Noir was a proprietary label as Tony owned no vineyards. He developed contracts with growers which allowed him to farm his blocks to his own strict specifications. His wines quickly attracted considerable attention from the wine press and Pinot Noir aficionados. 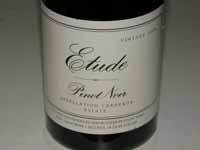 By 1999, Tony was able to end his consulting career to concentrate full time on Etude and develop his own Pinot Noir vineyard in the Willamette Valley of Oregon. The winery was sold to Beringer Blass (Fosters Wine Estates) in 2001 and a new winery was built. 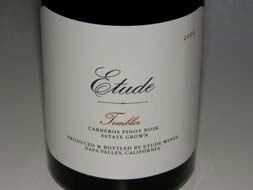 Tony made his last wines at Etude in 2002 and moved to Oregon permanently. He still consults for Etude. 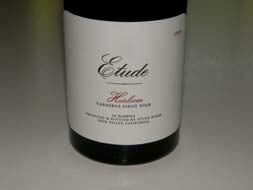 Jon Priest joined Etude as winemaker in 2005. He previously had stints at Wild Horse Winery, Adelaida Cellars and TAZ. The associate winemaker is Rob Fischer and the viticulturist is Franci Ashton. 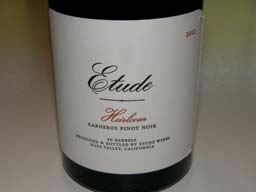 Etude Pinot Noir until 2004 was sourced from selected Carneros sites. The wines are now composed exclusively of fruit from estate vineyards located in the northwestern corner of the Carneros appellation. The soils are unique for Carneros which is mostly riverbed and bay bottom clay soils, as Etude's vineyards possess several variations of well-drained, rocky upland soil of volcanic origin. The winery is a Napa Green Certified Winery, affirming Etude's commitment to conserving water and energy, reducing waste, and preventing pollution. The Pinot Noir lineup includes a Carneros appellation bottling, a special Heirloom Pinot Noir made from heirloom clones of Pinot Noir and two vineyard block-designates - Temblor and Deer Camp. The unique, volcanic soiled estate vineyard in the northwest corner of the Carneros appellation is planted to over twenty Pinot Noir clones, including ten that are "heirloom" clones. 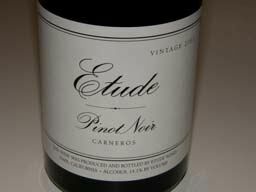 An inexpensive Pinot Noir, Lyric by Etude, is also offered. A single vineyard AVA series of Pinot Noirs debuted in 2012 including wines from Santa Maria Valley, Sta. Rita Hills, the Sonoma Coast, and the Willamette Valley. The tasting room at 1250 Cuttings Wharf Road (off of Highway 121) is open daily from 10:00 to 4:30. Designed by talented architect Matt Hollis, there is art on the walls, a towering ceiling, and comfortable seating. Formal one hour seated tastings including a Reserve tasting and a wine and food pairing are available by appointment (up to 8 people): 707-257-5300. 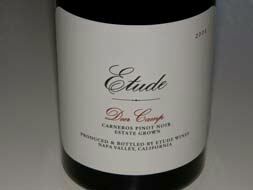 The wines are sold largely through a mailing list with the Carneros Pinot Noir having the widest retail distribution.